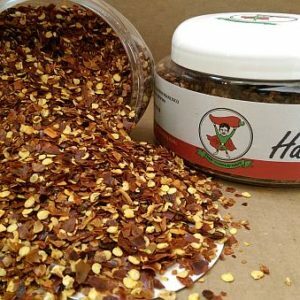 Habanero chile can add a real kick to your recipes without the cost of rarer hot peppers. The Chile Guy carries habanero chiles in a variety of forms to meet your needs. The habanero chile is native to South America (Peru), but the Spanish brought it to other parts of the world. Today, Mexico’s Yucatan Peninsula is the primary source for habanero chiles. The habanero was rated the world’s hottest chile in 1999, although it has since lost its title. It packs a lot of heat which may overpower its subtle undertones but not its floral aroma. 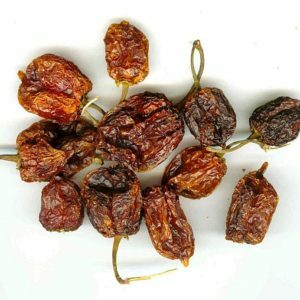 Habanero chiles range from 100,000 to 350,000 units on the Scoville Heat Scale. The habanero is the hottest chile available for most commercial applications. 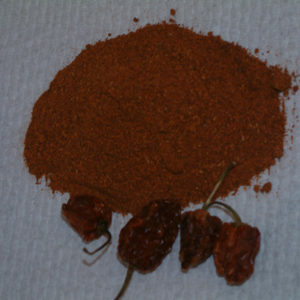 However, The Chile Guy does have hotter ghost chile in whole pods and powder. The Chile Guy carefully selects our growers to ensure the highest quality chiles at the best possible prices. We can pass on even more savings to you when you buy bulk chile supplies. For large quantities and shipping estimates for orders over 100 lbs., please contact us. Call 800.869.9218 to order the habanero products you need to add kick to your recipes!